You can add a filter in the left column, such as "Category", "Current Bid Range", "Reserve Status", and so on. Each time you make such a selection, the listing of results will become smaller, showing only those items that meet all the criteria you have selected. You can also enter one or more keywords, if that will help your search. Sometimes a new selection will open up new sub-selection possibilities. The guided navigation section only lists things that contain results. To expand your list of categories, remove one or more criteria from your breadcrumb trail at the top of the results by clicking on it. Using "quotes" around your search phrase can help narrow the results to exactly what you are interested in. A search Henri Gaston Darien without quotes will return all results that contain either "Henri", "Gaston" or "Darien", in any order. A search for "Henri Gaston Darien" in quotes returns all results with the exact phrase Henri Gaston Darien, in that order. If you're looking for only Impressionism and Modernism, choose that category from the drop-down list. If you're searching for items that span multiple categories, choose ALL from the drop-down. 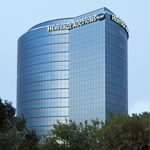 The search from our home page covers everything we have to offer, whether in auction or inventory. If you are only interested in either auctions or buy now items, select the appropriate check boxes in the search area ("Search within Inventory" or "Search within Auctions"). Maybe it's a name (like Darien), or a medium (oil), or a year (1870). When you use multiple words, the search engines will try to find items with all of those words in the description. Try using "OR" and "NOT". If you're interested in all items from 1870 and 1871, you can enter "1870 OR 1871". This would limit your search to just items with either of those two dates in the description. Or, if you are interested in something by Darien, but not done in Oil, then you might search for "Darien NOT Oil". Don't use commas, periods, dashes, etc., unless required - such as in a name like O'Doul.